Legacy System- 2013 No longer in production. We can special order this if needed. We would also recommend the Silencer Air+ wireless system. Use two systems one for focus and other for zoom. Focus on your own with any kind of rig. The Silencer is the only trigger controlled follow focus, which means you can keep both hands on the rig to get a great stable shot. Instead of losing stability with a manual follow focus or finding someone to pull focus for you, put your focus at your fingertip. When you pull or push the trigger, the belt drive will respond instantly moving the focus ring as fast or slow as you want. Zero lag, zero play. And because the trigger can be mounted to any handle, it will adapt to any rig in your arsenal. So why the Tri-Rail System? With a trigger that can mount to any rig, you’ll need a rail system that can do the same. Instead of sticking with a regular two rail system, we went with a three rail design which lets you have more options to mount the Silencer, along with all of your other gear. 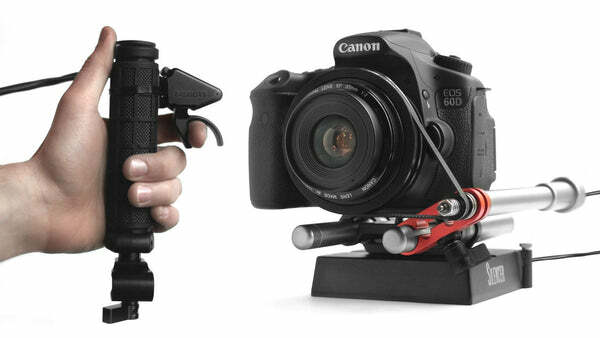 And with a Quick Release built right in, your camera can snap on and off in seconds. You’ll be ready for your next shot in no time. Alone, the Silencer is an incredibly versatile addition to your gear. But sometimes you’ll have particular needs for your shoot. Maybe you have a geared lens, or you’re using a gimbal. We’ve got you covered for any situation.